On August 30th, nearly 400 teachers, therapists, and administrators came together to kick off their year in the ASD Nest program! 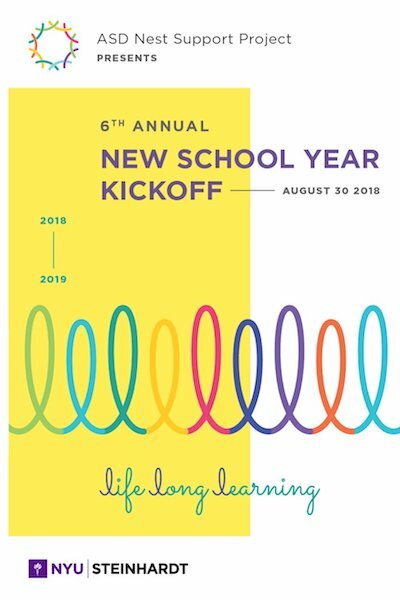 The theme of the work in ASD Nest for the 2018-2019 school year is life long learning. Throughout the day, Kickoff attendees added a Wikki Stix loop-de-loop to the wall with a learning goal they identified for themselves. As educators, we must be lifelong learners, continually trying new things and challenging ourselves and our assumptions—being models for our students and improving our practice. We will be exploring this concept further in professional development and through discussions in school consultation throughout the year. After welcoming remarks from the NYCDOE's Christina Foti, Metro Center's Dr. David E. Kirkland, and the UFT's Carmen Alvarez, author and activist, Morénike Giwa Onaiwu, delivered the morning keynote, "Forged By Fire." Morénike shared her perspective as an autistic woman of color and parent to autistic children and challenged Nest educators to recognize, understand, and respond to the impact of gender and race—in addition to autism—when supporting students in inclusive settings. The student speaker was Millennium Art Academy's Benny Reyes, who shared his experience as a student in the ASD Nest program for the past ten years. The afternoon keynote, delivered by Executive Director of the Autistic Self-Advocacy Network, Julia Bascom, shared perspectives on indepedence and self-advocacy, and challenged attendees to consider what it means to include everyone. 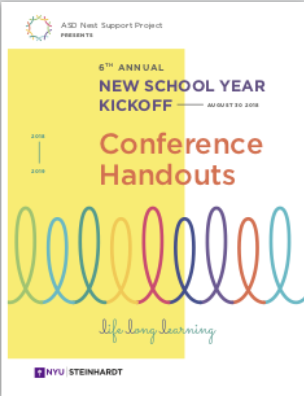 Attendees also received a few freebies for attending, including a life long learning slinky and raffle tickets to try their luck at one of 15 prizes. For the 5th year running, the ASD Nest Support Project is proud to continue our ASD Nest Staff Grant Program, to provide funds for teachers and therapists to address Nest students' strengths and challenges. 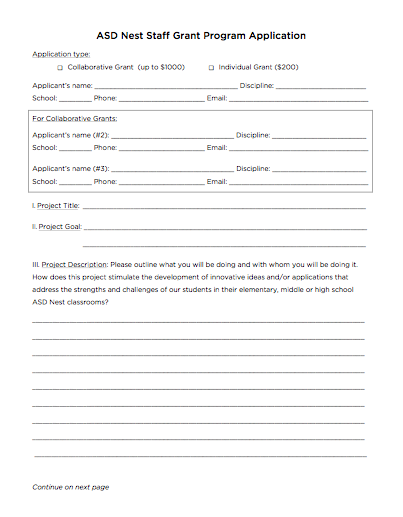 Click here to download the ASD Nest Staff Grant Program application. Kickoff attendees attended a Breakout Workshop of their choice. Everyone recevied copies of presentation handouts for all workshops. You can download them all as well, here.